This article will cover how salt can cause blockage in a seepage pit. In the midst of constant innovations, the common household is still left with the common problems of the septic system. It can’t be helped. Not all homeowners are able to fulfill their responsibilities to their own properties. 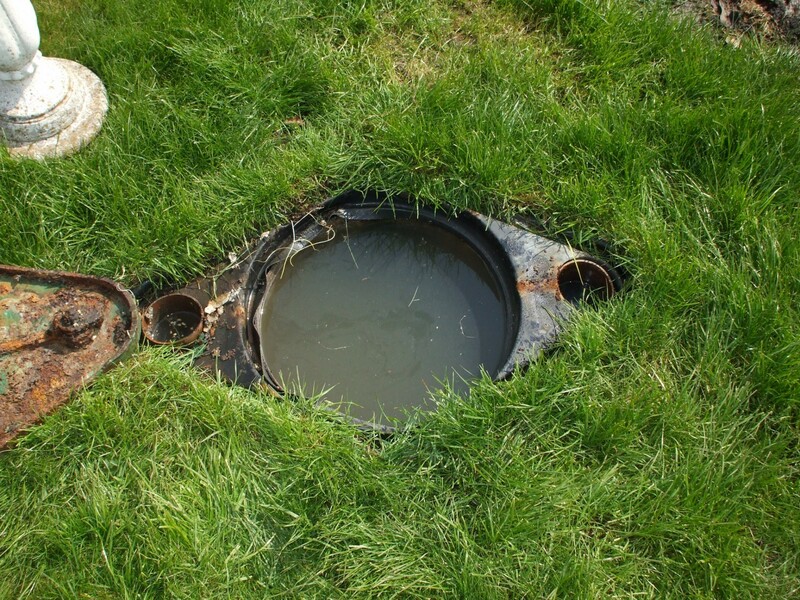 The septic system is one of the most crucial components of the home. The septic is an entire system underneath your property that is responsible for treating the wastewater that your household produces on a daily basis. The wastewater here is both grey water and black water. Grey water is wastewater from dishwashers, washing machines, drains, and sinks. Black water is wastewater from the toilet. The septic system receives wastewater, collects, and treats it. The resident anaerobic bacteria break down the solid waste particles in the wastewater so that the clear effluent could flow into the drain field without clogging it. However, no matter how hard homeowners try to prevent septic system issues, they will always spring up unexpectedly. One common problem in the septic system is blockage. Blockage should always be prevented. Because of this, helpers for the septic system are installed. One is the grey water system. the grey water system is a system that received only wastewater from drains, sinks, washing machines, and dishwashers. If you have a grey water system, you lessen the water load that enters the septic tank. If the water load increases in the tank, the solid waste particles are stirred up. They are not broken down at a normal rate. As a result, they are pushed into the drain field, clogging the entire system. A grey water system treats and recycles the grey water to be reused as water for flushing the toilet or watering lawns. Another helper would be the seepage pit. This is a hole in the ground installed near the septic tank. All it accepts is the liquid part of the wastewater. The septic tank takes care of the solid wastes already. The seepage pit has bio-mat that purifies the effluent. The aerobic bacteria in the seepage pit regulate the biomat population so that it won’t clog the system. When the seepage pit has already pre-treated the effluent, it is transformed into a safer form so that it could be reused in the surrounding environment. Invasive root systems. Higher plants such as trees need a regular source of water and nutrients. They usually go for the seepage pit because it is the nearest to them. They grow into the seepage pit and then block the entire system. The roots usually create a wall that stops the normal flow of effluent. Water softener use. Hard water is a problem in many households. To treat it, water softeners are used. Salt is in water softeners to make the water usable. Hard water has calcium and magnesium, which make soaps and detergents useless in washing chores. They do not lather up and this makes cleaning things a total nightmare. Hard water turns soap into a slimy scum that clogs drains and sinks. Water softeners enable the ion exchange between the salt ions and the calcium and magnesium ions. The magnesium and calcium ions are attracted to the beads of water softeners because of their stronger ions. Salt ions replace them in the water, making it usable. Salt may be beneficial this way but harmful to the septic. Salt kills off the bacteria in the tank. When this happens, wastewater treatment stops and all solid waste particles flow into the seepage pit, completely blocking it. You should know how salt can cause blockage in a seepage pit so that you could keep your entire septic system functional for a long period.